Okay so I know I’m not known for my culinary skills, but I have mastered a kale salad that everyone needs to try. 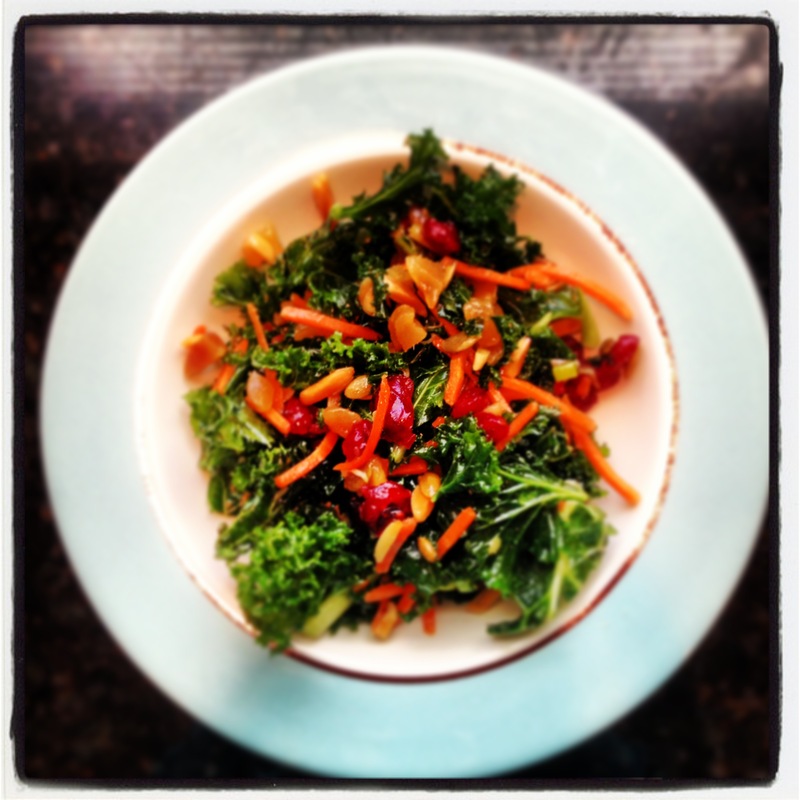 Even if you THINK you hate kale, I can almost promise you that you’ll like this salad. I think it’s fairly healthy and a great way to add kale to your diet if you can’t stomach it on it’s own (like me). Scott also liked it and he is my harshest kitchen critic. I got the recipe from my mom who said she got it from HEB. First you’ll need a couple of handfuls of chopped kale (I have been buying it already washed/cut into bite size pieces in a giant plastic bag at HEB for like $2.50). I also added a handful of those “matchstick” carrot slivers for fun. Then mix it all up really, really well. I think the crystalized ginger just was the perfect touch and the crunch from the almonds and pumpkin seeds was nice too. Next Post Happy Half Birthday, Miss Landri (More Daddy Daycare Alerts, and New Soothing Techniques & Skills)!